Kaboodle end panels come in a variety of sizes, styles and colours which allow you to customise a kitchen to suit your own personal taste. 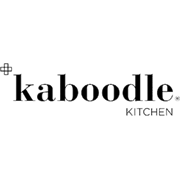 Made of vinyl coated MDF, Kaboodle end panels are highly durable and are the ideal finishing touch for your new kitchen. Benchtops & Cabinets How to make a pull-out trash bin Keep your rubbish out of sight with a pull out trash bin. We’ll show you how to assemble one in just a few simple steps. Sinks & Taps How to choose a kitchen sink The sink is one of the most important features in your kitchen. We’ll show you how to choose the right one to help make washing up less of a chore.